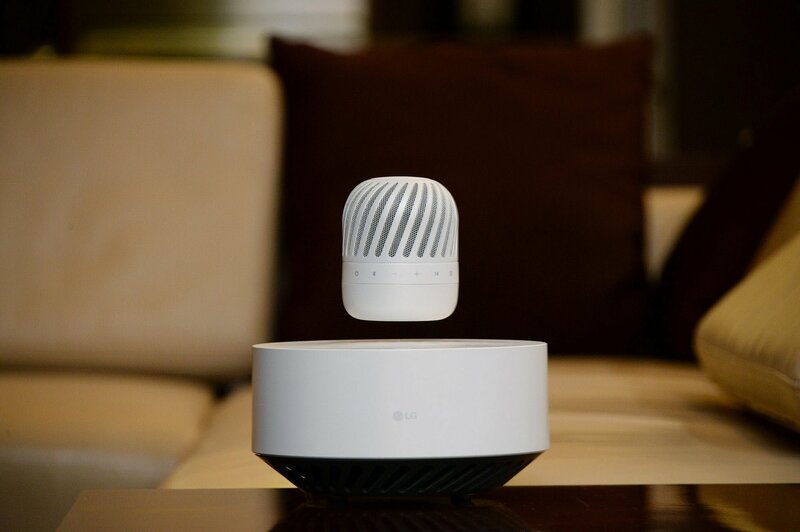 SEOUL, Dec. 27, 2016 ― LG Electronics (LG) is showcasing its futuristic Levitating Portable Speaker (model PJ9) at CES 2017, the proving ground for exciting technology from across the electronics industry. The mesmerizing wireless speaker hovers in place over the accompanying Levitation Station to deliver high-quality audio while making quite an impression with its eye-catching design. In addition to its striking looks, the versatile speaker gives users the ability to seamlessly play music, podcasts and other audio content in the home as well as outdoors.